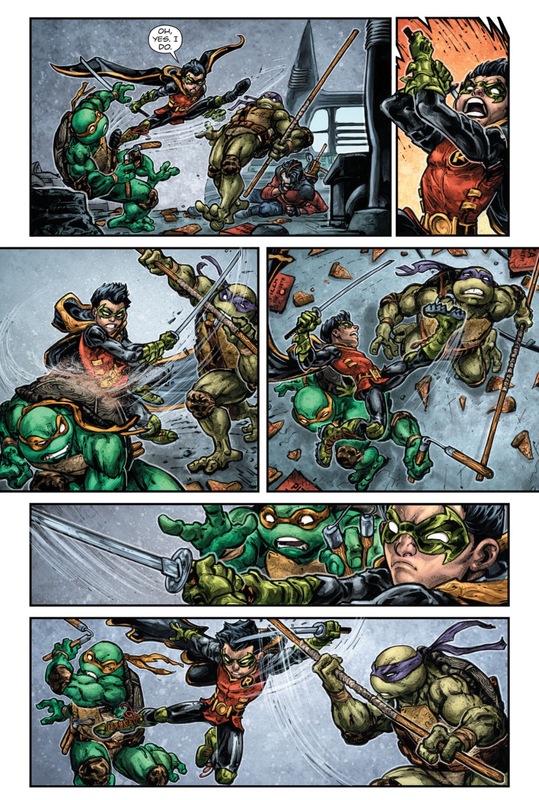 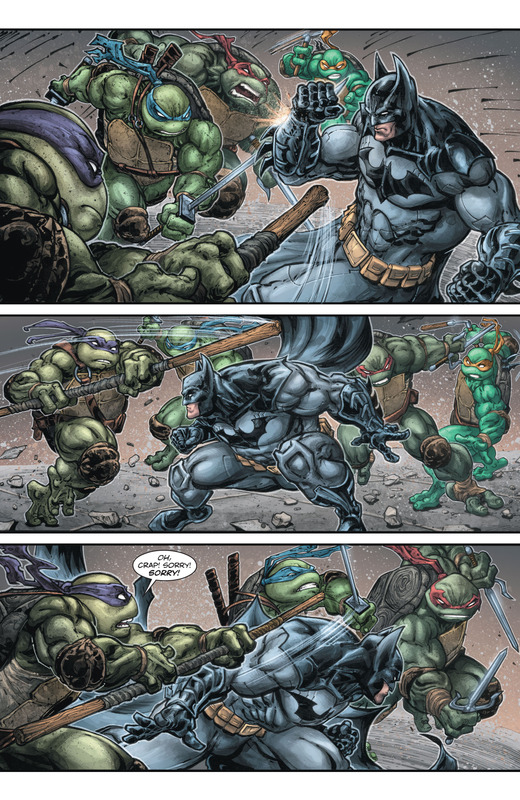 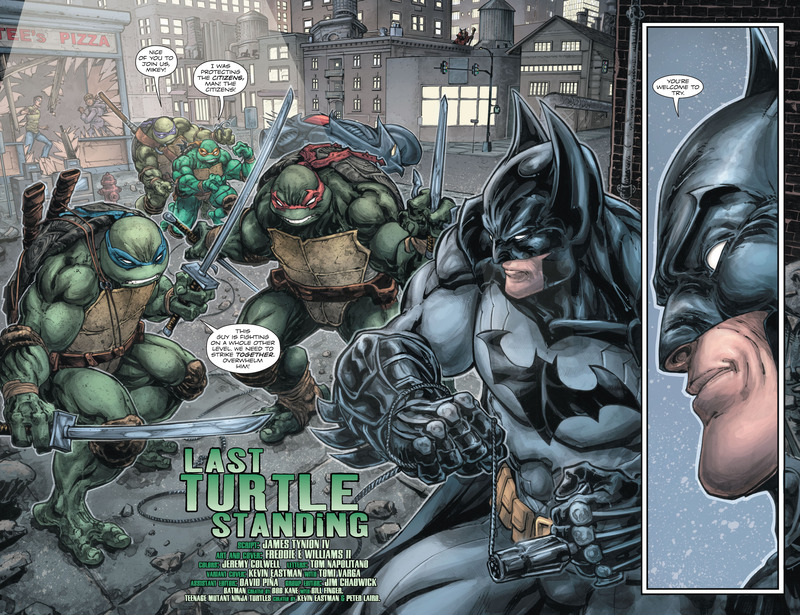 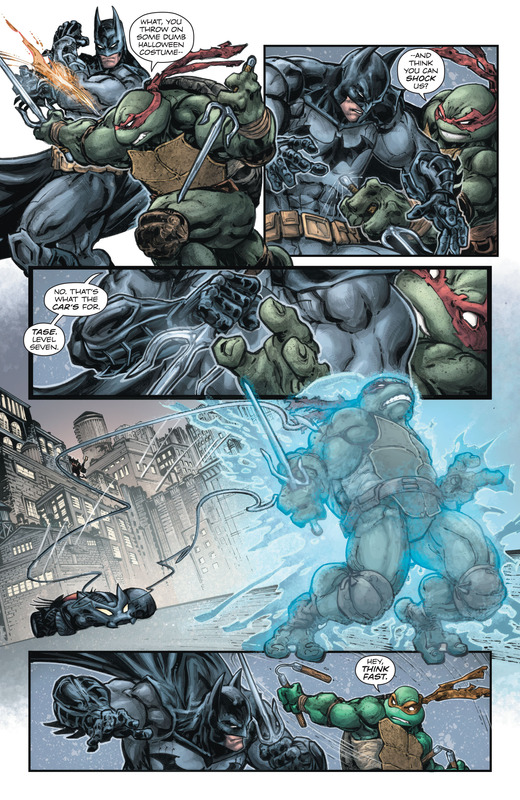 Trapped in a world where they can scarcely tell friend from foe, the Turtles’ first encounter with the Dark Knight puts their fighting skills to the ultimate test. 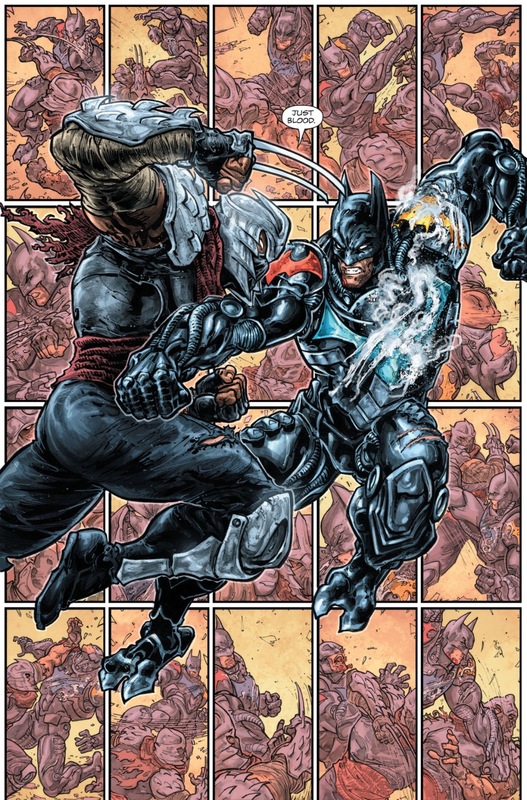 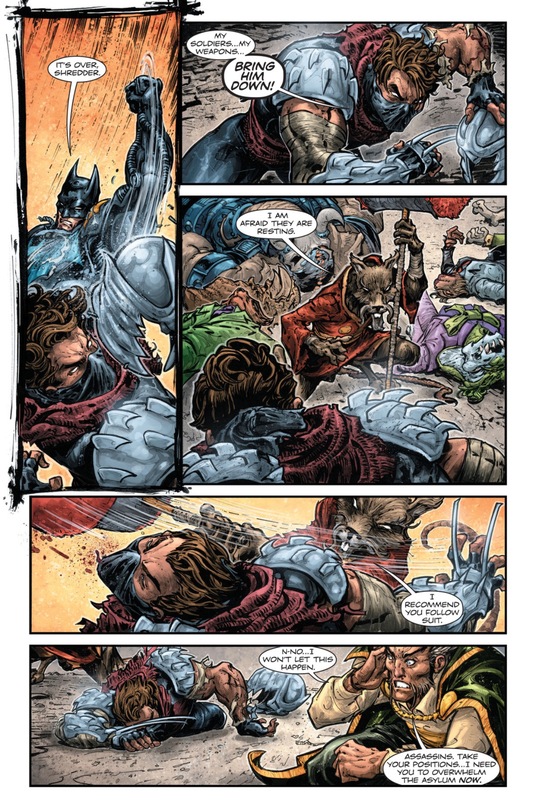 And while Batman and scientist Lucius Fox search for any clue as to where these strange ninjas come from, Shredder strikes a deal with The Penguin! 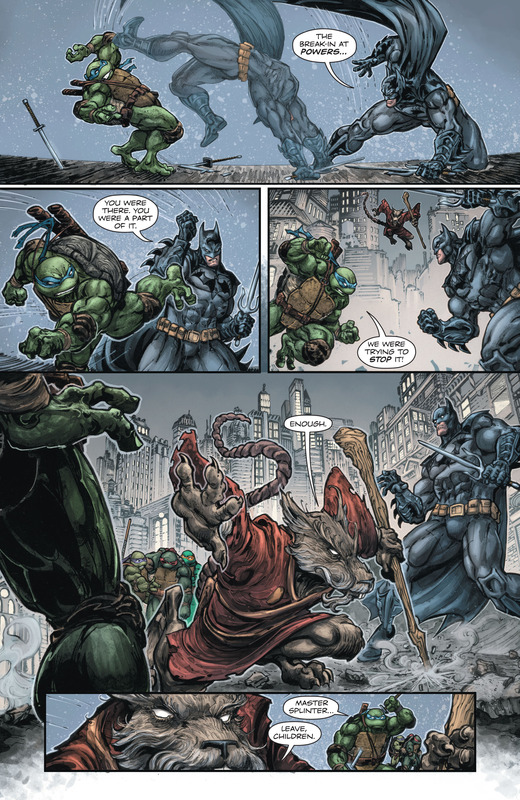 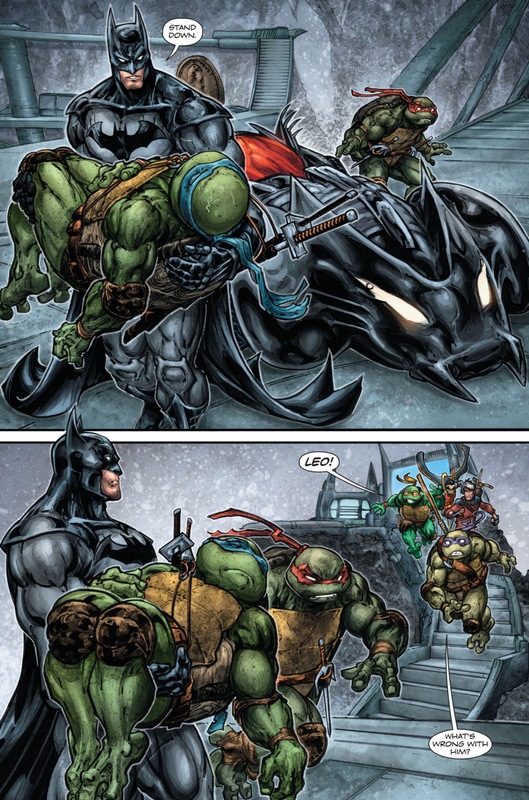 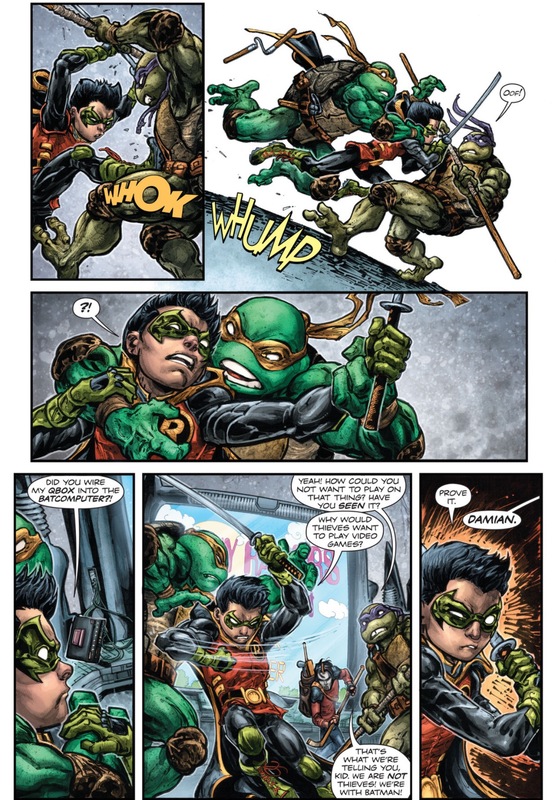 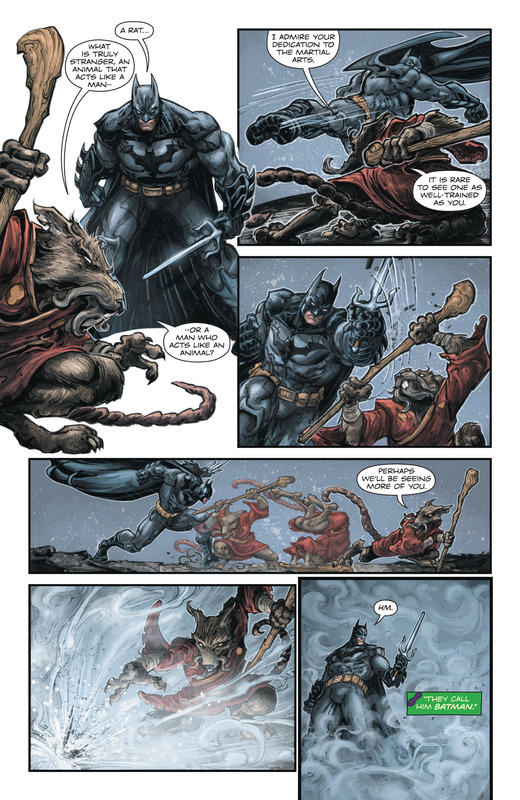 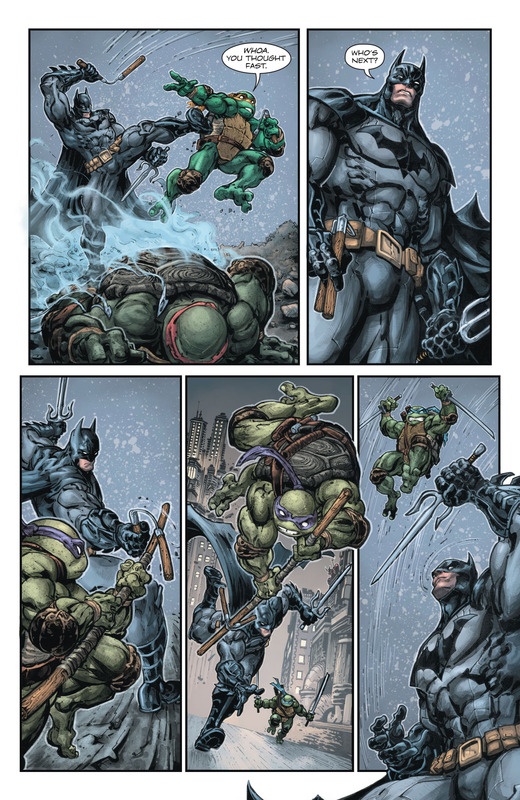 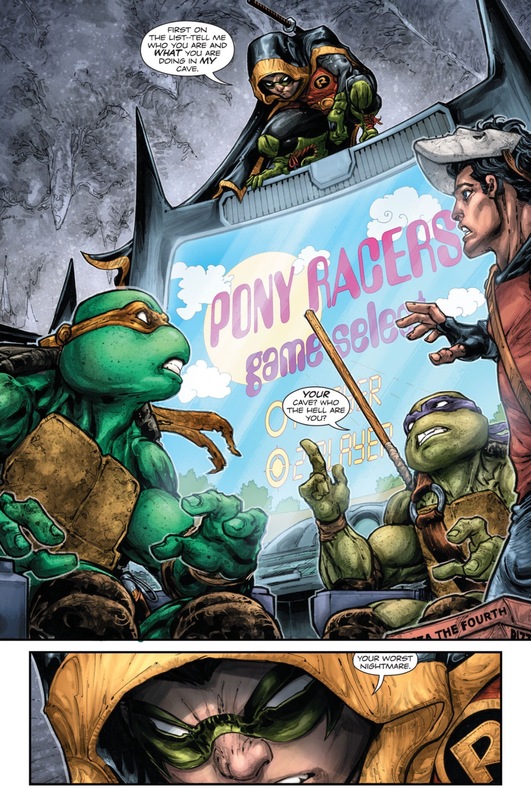 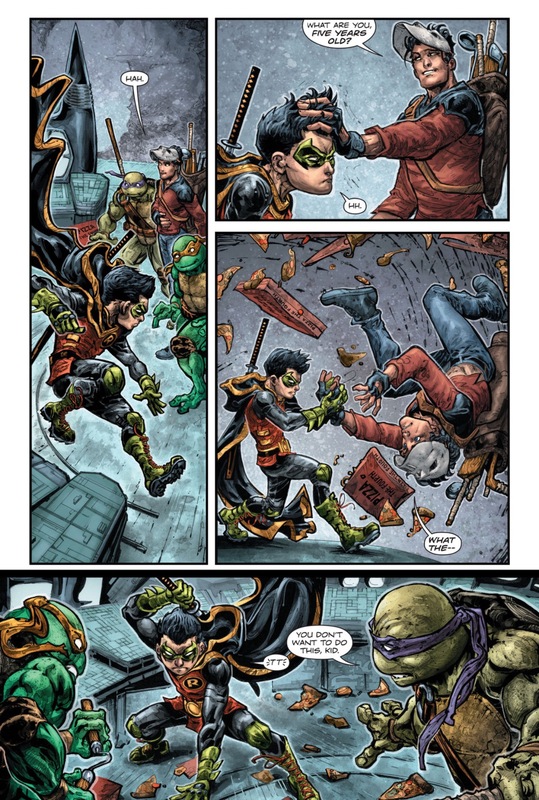 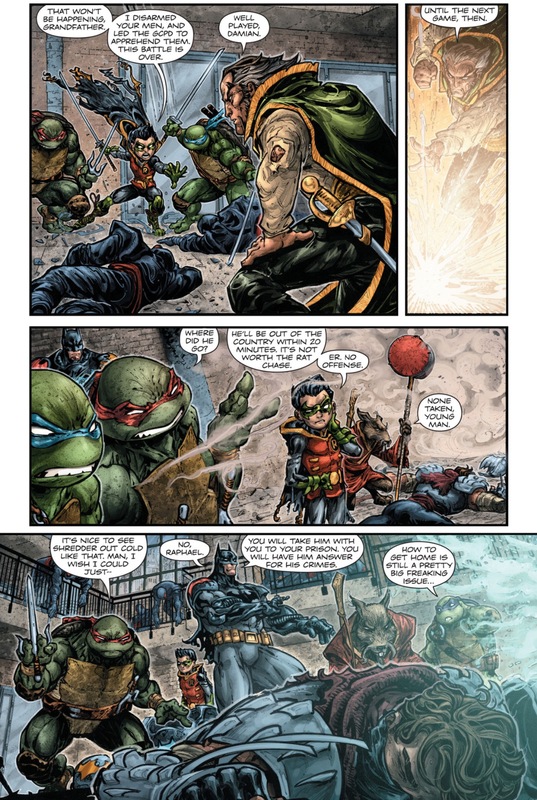 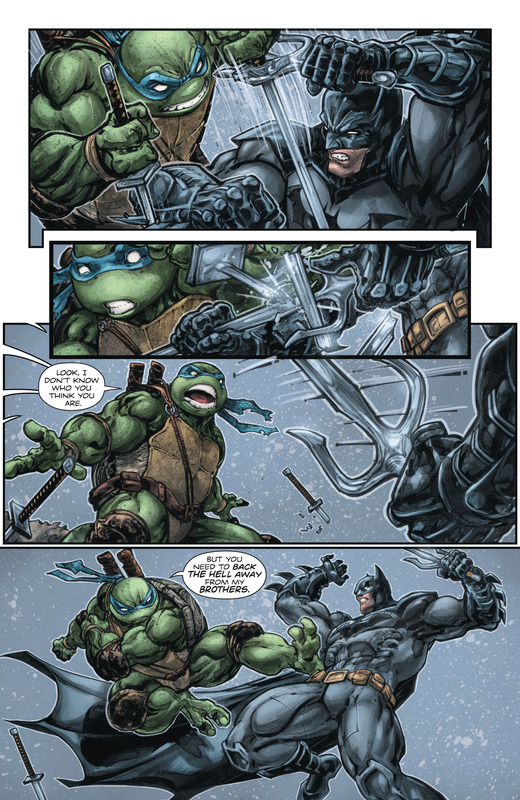 This entry was posted in Batman, DC Comics, Teenage Mutant Ninja Turtles, Versus and tagged batman, comic books, DC Comics, Donatello, Leonardo, Michaelangelo, Raphael, Splinter, Teenage Mutant Ninja Turtles, VS on January 13, 2016 by lowbrowcomics.